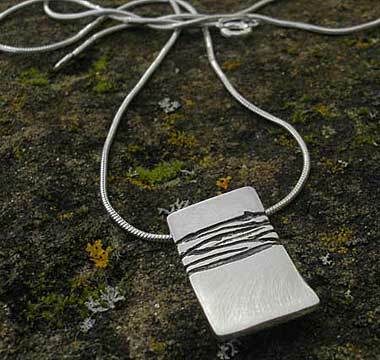 Women's Etched Silver Designer Necklace : LOVE2HAVE in the UK! 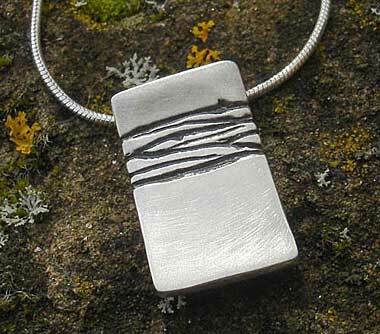 A women's etched silver designer necklace. Due to its versatility and affordability, silver jewellery has seen a significant increase in demand in the last two decades and this women's necklace is no exception. 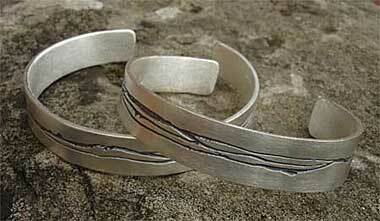 Silver can be etched, or gold coated, and this piece has the option of either of these choices. Here we have a sterling silver designer necklace that comprises of a pendant that measures approximately 18mm x 10mm with a 16-inch silver snake chain. 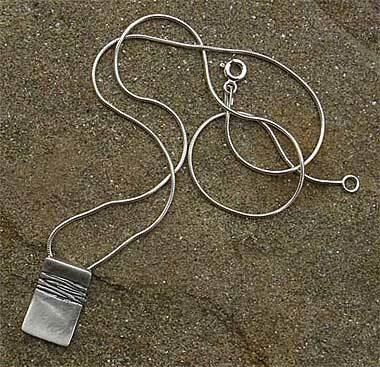 The necklace worked into a curved shape with the silver chain threaded through its back has indented random jagged grooves worked horizontally into the silver that is all black etched. To complete the designer styling, it has a curved shaping and smooth edges for added attention to detail. A 22ct gold plate is available too. The silver is matte in finish, and we also sell a matching bracelet and silver ring which are both available on this site also. PLEASE CONTACT US FIRST IF YOU INTEND TO PURCHASE THIS NECKLACE AS SOMETIMES IT IS NOT ALWAYS AVAILABLE.